Team rider Brandon Hanson stopped in at Kyle Little’s house when the weather conditions prevented him from driving through to Milwaukee. 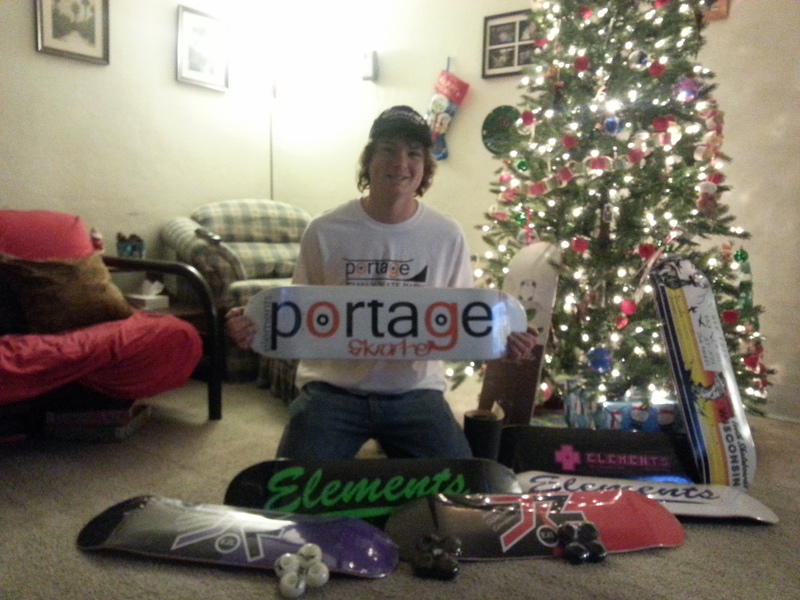 He brought with him several gifts to donate to the Portage Family Skate Park Project. Items included wheels grips and one of kind decks with autographed by Brandon.